06 Dec 2018 --- Major caramel colors suppliers Sethness and DDW The Color House (DDW) have stressed their compliance with Food Chemical Codex (FCC) revised limits in light of the implementation of California’s Proposition 65 (Prop 65) list of chemicals. Effective from December 1, 2018, FCC has established a new maximum limit of detectable 4-MeI in caramel color of 125ppm on a color intensity basis. This new limit applies to the caramel color itself, not to the finished products the caramel color is used in. August 30, 2018, marked the start of the full effect of Proposition 65 (Prop 65) in the State of California which requires companies to call out specific names of potentially harmful chemicals that have been included on the list and add a warning symbol on the product if they exceed acceptable levels. Also known as the Safe Drinking Water and Toxic Enforcement Act, the full effect of Prop 65 has been a long time coming and August 30, 2018, marked the beginning of the regulation that was initially adopted in the US in August 2016. Prop 65 requires the State of California to maintain and update a list of chemicals known to the state to cause cancer or reproductive toxicity and has large-scale implications for products that need to carry a warning and warning symbol (an exclamation mark against a yellow background). 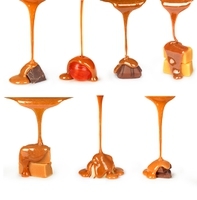 Founded in the US in 1880, Sethness is a producer of high-quality caramel color for the food & beverage sectors, thanks to four manufacturing facilities located in the US, France, India and China. It provides a large selection of caramel colors (in liquid and powdered forms) as well as a variety of clean label caramel color options, which are non-GMO, certified organic, gluten-free and allergen-free. Required revisions to the monograph include updated analytical testing protocols and instrumentation, according to the FCC. Both the International and European Technical Caramel Associations were actively involved with FCC in helping to identify the new level. Sethness Products can no longer manufacture and sell those caramel colors that exceed these limits in countries, including the US, that follow FCC guidelines, the company notes. Sethness had anticipated the possibility of a downward revision of the 4-MeI maximum in the FCC monograph level. A review of the Sethness library of more than 80 commercially available caramel colors determined that 12 of them would not be able to meet this new maximum limit. For the past two years, the company has developed replacement caramel colors for the ones that must be discontinued. The goal was to have replacement caramel colors that were virtually identical to, with the exception of the lower 4-MeI value, the caramel colors being discontinued, says the company. Sethness has been successful in achieving that goal and these caramel colors are readily available, according to reports. In September, Roquette completed the acquisition of Sethness, further leveraging both companies' global capabilities in caramel colors. Before the acquisition, Sethness and Roquette already had a strong partnership and operated two successful joint-ventures in France (Merville) and China (Lianyungang).